Also known as the Water bug and Palmetto bug. 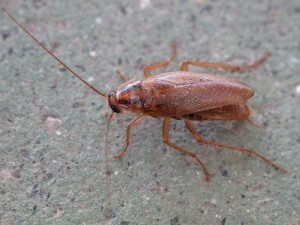 The largest species of common cockroach. Despite the name, it was introduced to the U.S. from Africa. Reddish brown with a yellowish margin on the body region behind the head. Live in warm, moist areas. Feeds on decaying organic matter especially fermenting foods. Considered one of the fastest running insects. 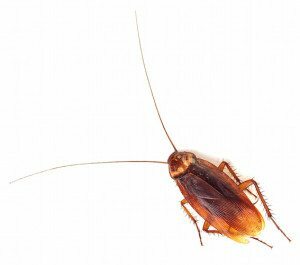 “Blattodea. Cascuda. Santiago de Compostela 1” by Lmbuga – Own work. Licensed under CC BY-SA 3.0 via Commons. Most common species in homes, apartments, hotels, and restaurants. Tan to light brown with 2 dark parallel lines running down the back. Eat starch, sugar, grease, and meats. 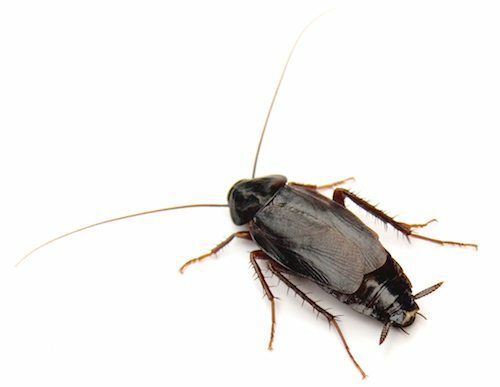 Commonly found in kitchens and bathrooms. Found outdoors under debris, stones, leaves, etc. 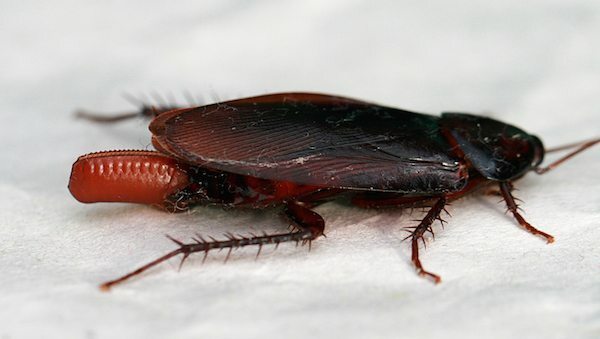 “Cockroach egglaying 2” by Toby Hudson – Own work. Licensed under CC BY-SA 3.0 via Wikimedia Commons.